I have published (in one way or another) over 1500 pictures from my phone since early 2011. When I first fell in love with phone photography, I had a Droid and major iPhone app envy. The first day I was eligible, I high-tailed it to the store to get my brand-new iPhone. The very first app I uploaded was Instagram and it was love at first sight. Almost every image that I post has been processed in one way or another. I will occasionally use the Instagram filters, but often I want a more specific look from my pictures. Luckily, there are tons of great (and usually easy) ways to do that! In this eBook by Alli Worthington, you will find a wide variety of information about apps and ideas and how-tos. But the best part? It’s only $5! Want to make your pictures pop? Want to turn good photos into great ones? Just want to know which apps are for you? 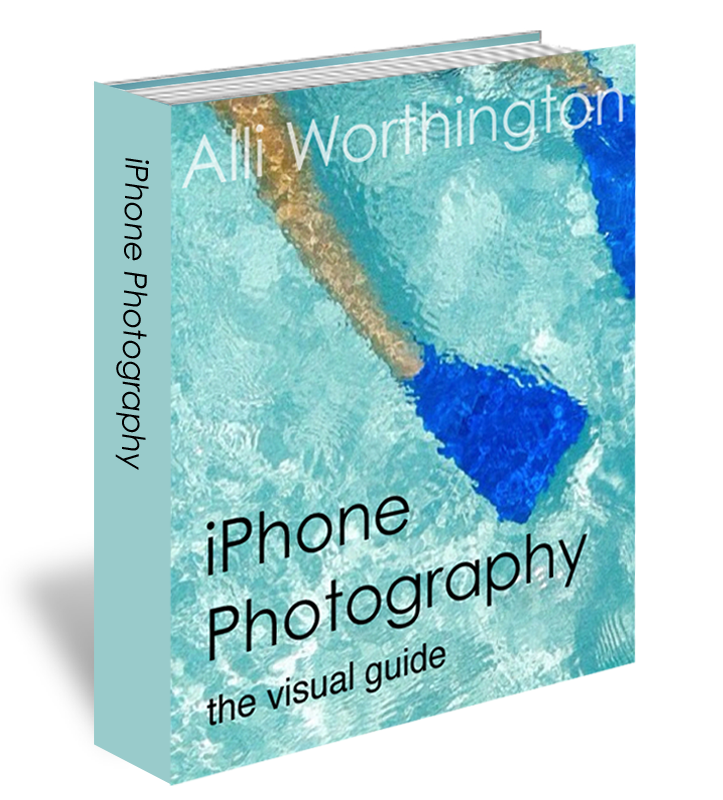 This book is great for newbies and established (iPhone) photographers. She touches on basic photography guidelines, but also shares tips you won’t see anywhere else online. 1. I am a featured photographer in this book! How cool is that? 2. Because Alli is all about sharing the love, for each copy of this book that is purchased from my affiliate link, I will get $3.75! 3. And I can’t wait to tell you more about ways another one of Alli’s (and friends) photography projects can help you earn money! Click here to learn more about Picha Global, which will be making it’s debut soon! *Instagram is now available for iPhone as well as for Droid (via Google Play). Way cool! I’ve just recently gotten an iphone and only take an occasional picture (because they are just plain boring). So I can’t wait to read and learn how to become better! Thanks so much!